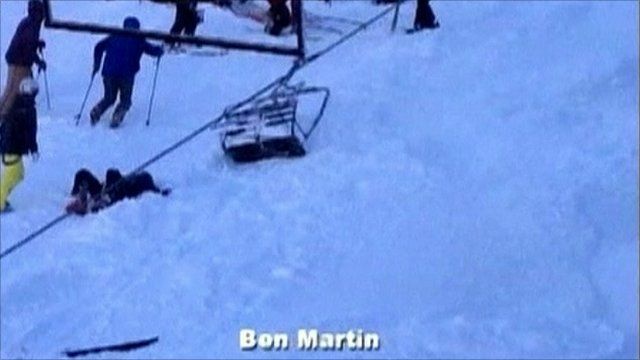 Several skiers in the US state of Maine have been injured after falling up to 30ft (9m) on to a ski slope when a chair lift derailed. Resort officials say five chairs fell from the rail lift at Sugarloaf resort. The cause of the lift malfunction is not yet known. None of the injuries suffered appeared to be life-threatening.